A Russian Soyuz rocket blasted off from the Baikonur Cosmodrome in Kazakhstan on Wednesday to deliver three new crew members to the International Space Station. The Soyuz rocket and capsule lifted off at 4:58 p.m. EDT on an express route to the station, which orbits about 400 kilometers above Earth. 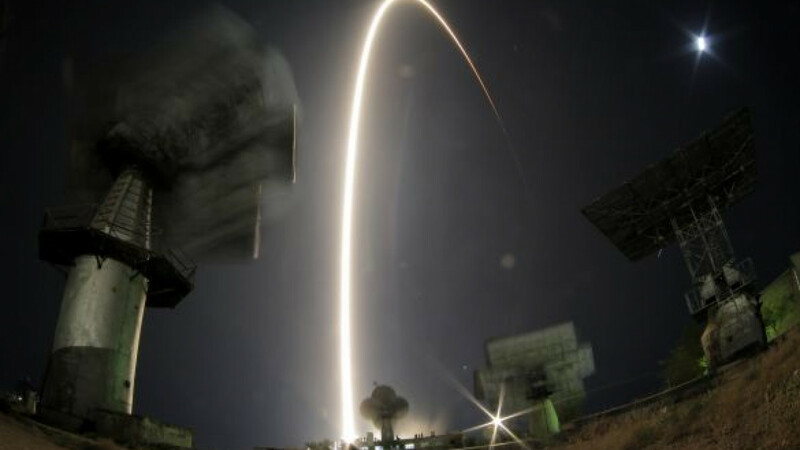 Less than six hours after blasting off from the Baikonur Cosmodrome in Kazakhstan on Wednesday, the Soyuz rocket delivered three new members to the International Space Station. Only two other crews have made the journey as quickly with previous Soyuz capsules taking two days of orbital maneuvers to reach the station. The arrival of Kotov, Ryazansky and Hopkins returns the station to its full, six-member live-aboard crew. Commander Fyodor Yurchikhin, NASA astronaut Karen Nyberg and European Space Agency astronaut Luca Parmitano have been running the station on their own since Sept. 10. The skeleton crew was to have overseen the arrival of a commercial cargo ship on a test flight to the station this week. But a software problem left the unmanned Cygnus freighter unable to receive navigation data properly from the station, delaying its arrival until no earlier than Saturday to avoid conflicting with the Soyuz's berthing. Typically, at least 48 hours are needed between spacecraft dockings. The cargo ship, built and launched by Orbital Sciences with backing from NASA, blasted off aboard an Antares rocket on Sept. 18 from a new launch pad on the Virginia coast. "As a crew we're very excited to be up there when Cygnus rendezvous and docks and (we're) looking forward to opening that hatch," Hopkins said on Tuesday during a pre-launch press conference. Hopkins and Ryazansky are making their first flights. Kotov, who will take over command of the station when Yurchikhin leaves in November, has made two previous long-duration missions on the station. During their five-month stay, Kotov and Ryazansky are scheduled to make three spacewalks, the first of which will include taking an unlighted Olympic torch outside the airlock to promote the Sochi Olympic Games in Russia, which open in February 2014. "Our goal here is to make it look spectacular," Kotov, speaking through a translator, told reporters. "We'd like to showcase our Olympic torch in space. We will try to do it in a beautiful manner. Millions of people will see it live on television and they will see the station and see how we work," Kotov said. The torch is scheduled to be delivered to the station on Nov. 6 by the next crew launching to the outpost. Yurchikhin, Nyberg and Parmitano will then bring it back to Earth when they return home four days later so the traditional torch relay can continue. "Unfortunately we cannot light it in space so we will simply take it to space and take pictures and some video with the station and the Earth in the background," Ryazansky said in a pre-launch NASA interview. An Olympic torch previously flew aboard NASA's now-retired space shuttle Atlantis prior to the 1996 Olympics.